Fit Affinity Lean Fat Burner Review – Does This Diet Pill Work? Side Effects? Here we give you our complete review of this female-focused fat burner, it is one of the cheaper choices for a women’s’ diet pill available. In this review, we will give you all the information you need to decide if this is a product you want to buy. Here we will research and dissect the ingredients so you know exactly what you are getting for your money. 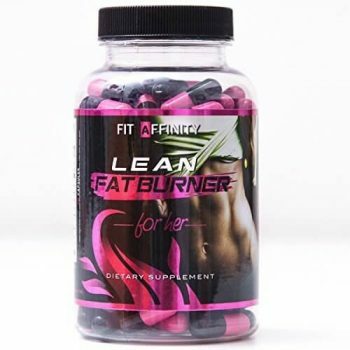 We are accustomed to seeing unisex products in the weight loss category, Lean Fat Burner For Her made by Fit Affinity and is one of the few made only for women. This diet pill is packaged up in the kind of container you would expect of a weight lifting. supplement, the capsules are a pink & black combo if anything they make this product feel a little gimmicky to us. The aim of this fat burner is to suppress the appetite whilst keeping your body stimulated. The pill claims to release fat cells and flushes them from the body leaving you with extra energy and less fat on your body. According to the advertisements, this diet pill can work whether you are exercising or not. As you would expect it is better to take them and exercise. Now it is time to take a deeper look into these diet pills to see if their brave claims are justified! 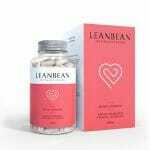 Like most other diet pills this one claims to help you burn away excess fat and not feel the effects of energy loss. This pill claims to do this in four different ways. This includes transporting fat cells into the blood burnt as energy, in the second stage fat tissue is kept moving throughout the body. 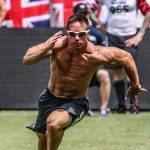 The Caffeine in Fit Affinity keeps the metabolism up and energy levels high in stage three, and according to the company stage four stops any more fat being stored. 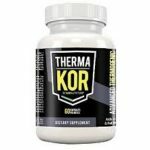 The manufacturers say they have used ingredients to support all four stages, here we’ve done the research which will expose how reliable this product is for weight loss. We will take a closer look at what exactly is in inside Fit Affinity. The Fit Affinity label states that all the ingredients within these diet pills are natural. 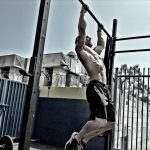 The eleven individual parts of this Lean Fat Burner are all listed with their precise weights, this is a good first step and means we can get an idea of how good the substances are and the effects you should expect. 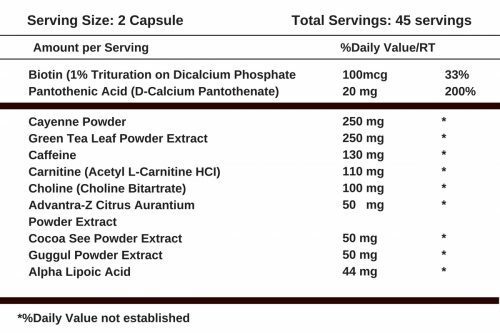 The list of ingredients will all be quite familiar to anyone who knows a little about nutrition and supplements. Unlike some other supplements, Fit Affinity has managed to avoid using long and confusing ingredients to mask their real uses. But do they work? Let’s see whether there are enough weight loss substances in this one to make it effective. This powdered extract of the well-known chili is always on our list of go-to ingredients. A lot of research has been put into Cayenne Pepper around weight loss and many positive results have been found. A much higher metabolism rate is noticed in women who consume capsicum, the main active ingredient of the chili. Capsicum, due to its chemical makeup, has also been shown to help burn calories simply because of the heat it generates! This means you can sweat out calories even whilst you eat. This one sounds completely made up but is actually sourced from the gum resin from an Indian tree. Although there are theories that this can help to reduce weight in obese people there is little to no evidence to prove it. It is maybe more of a fad diet than an effective supplement. It’s also been linked to side effects such as loose stools, headaches, and stomach pain. The fact it has an interesting name is about the only thing going for this ingredient. This supplement is produced naturally by the liver and kidneys and also found in red meat. Its primary function is to help break down fatty acids in the body which will then lead to a rise in energy and a boost to your fat burning. Science does not support the role of Biotin in weight loss, the main reason being that most healthy adults are not lacking in this vitamin. This means there isn’t really a benefit to using a supplement that contains it. Taking this water-soluble ingredient is unlikely to be too damaging to your body, some studies have linked it to improved blood sugar control in diabetics, however, this is not conclusive as a number of other studies showed it had no benefits at all. We think there are better fat burning ingredients than Biotin. This little favorite of ours brings a wealth of benefits with it. Rich in caffeine, it will boost your metabolism and give you an energy kick that is sure to help you get on with your day. Not only does it have the caffeine you will need to stay alert but it is also full of anti-oxidants. The main ones being catechins known for aiding in metabolism and the breakdown of fats. This antioxidant helps increase a hormone in the body that breaks down fats too. It really is a wonder supplement. There are always a bunch of ingredients we love to see in out diet pills. These are ones that really help you burn fat and suppress your cravings. This diet pill did contain a few of them but not as many as we would have liked. A few of the ingredients are not exactly scientifically proven or still under research. 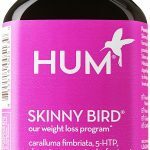 Some of the ingredients we would have loved to see in this weight loss pill include; Turmeric, this miracle spice from the east reduces inflammation in the belly and removes some of worst types of fat cells that float around the body. One of the other big drawbacks of Fit Affinity is that it only includes Cayenne Pepper for appetite suppression. We couldn’t believe that it didn’t include either Garcinia Cambogia or Konjac Fibre two of the finest ingredients for lowering calorie intake during the day. Another important ingredient of any diet pill is Black Pepper, Fit Affinity leaves it out which means you miss out on the improved absorption this substance brings to all the other ingredients. This fat burner does not list any side effects on the bottle but that does not mean that there aren’t any. It is always a good idea to be cautious with supplements that contain large doses of Caffeine as this one does. You should also always check with a doctor or be aware of what your allergies are before consuming it. The high level of stimulants in this product could have the potential to make you feel jittery or sick. The reviews for this product on Amazon are 3 out of 5 stars, a little too low on the spectrum for us. There does not seem to be any kind of offer for those customers who do leave a five-star review which means these customers probably did like the product but there are also a lot of low scoring reviews too with people noting that the product simply didn’t work. This product has a few good ingredients in it but not enough for us to say that it is the one to go for. The all natural ingredients look promising but on closer inspection, a quite a few of them won’t help you all that much. We think that, although it is cheap, there are better fat burning alternatives available. Here we leave you with the final thoughts of this review. We have taken an in-depth look at Fit Affinity, its ingredient makeup and the effects it may have. As the bottle suggests Lean Fat Burner For Her is most effective when working out. It relies on stimulants and metabolism boosters to help break down fats and fatty acids convert them to energy. Sadly some of the ingredients are only effective as placebos and won’t help you lose weight or burn fat away. The one advantage is that this pill is quite cheap but we don’t think that’s the most important thing to look for when purchasing a diet pill supplement. 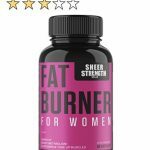 To find the top fat burners on the market be sure and check out our article on the leading fat burners for women.